I am a lawyer – member of Sofia bar association, with abundant practice in the area of civil law. 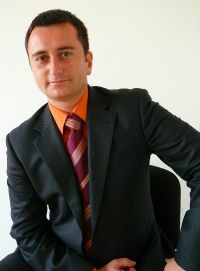 I offer highly qualified juridical help, professional defense, consultations, court delegation, entire legal service of Bulgarian and foreign physical person and legal entities, preparation of all kind of instruments and documents, delegation before court of arbitration, and lots of other actions and service in the area of civil law, contractual law, commercial law, family and succession law, labour law, etc. I work upon observance of full confidentiality and maximal protection of client’s interest. To provide the best decision of a client’s problem, I cooperate, when necessary, with colleagues and specialists in the specific legal area and use specialist’s knowledge and experience. To achieve more information, please, take a look at my personal experience and the abundant legal areas in which I develop my practice. To contact me, please, dial the phone numbers, placed at your disposal, visit my law office address or fill in the form of your online consultation.